If you know me well enough, you would have guessed that I was the one who planned out the entire itinerary for this trip...duh...haha!! Initially bro thought I was a bit too over coz my itinerary was super detailed and I even google map all our routes, but he soon realized the fun part of it when he finally started 'planning'...the day before the trip. =P Out of the 10 days for our trip, we decided to spend only 2 full days in Sydney and the rest of the trip in Melbourne so that mom and dad could spend more time hanging out with their friends in Melbourne. 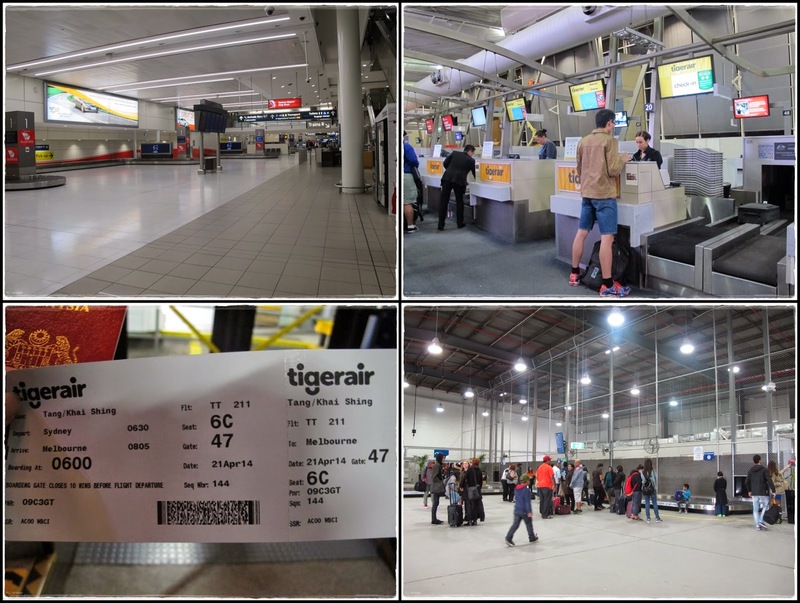 After 2 hectic days of sightseeing around Sydney, we boarded the 6.30am Tigerair flight to Melbourne Tullamarine airport. The flight took 1.5 hour and when we landed at the budget terminal, I was 'impressed' by the baggage claim area and arrival hall that looked more like a warehouse than an airport. We found out later that the 'warehouse' was just a temporary budget terminal. We were greeted by Uncle Low who was already waiting at the arrival hall to pick us up from the airport to his house. 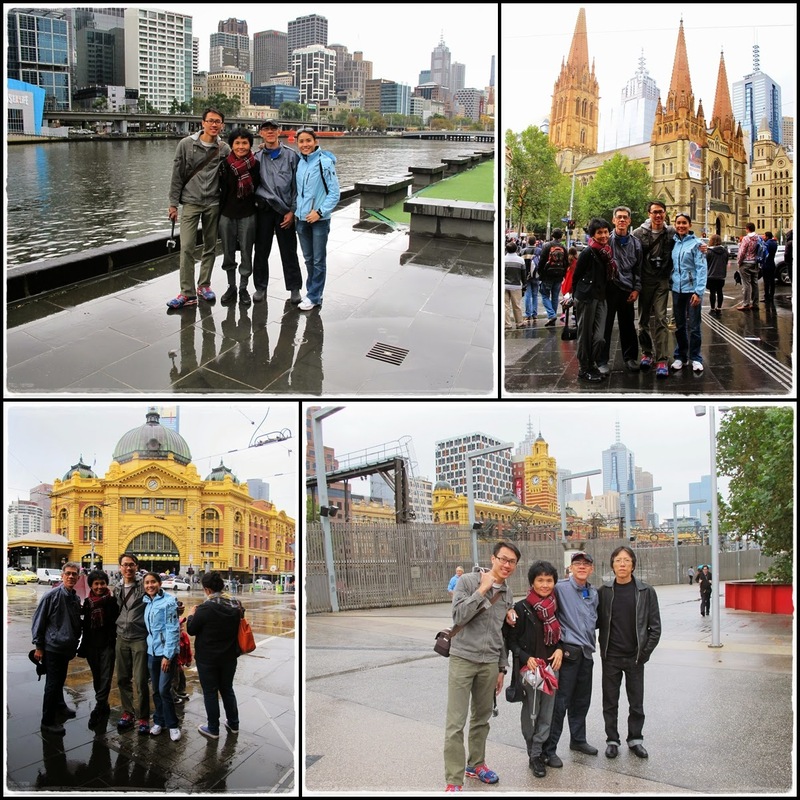 Big thank you to him and his wife for hosting us and bringing us around during our stay in Melbourne. 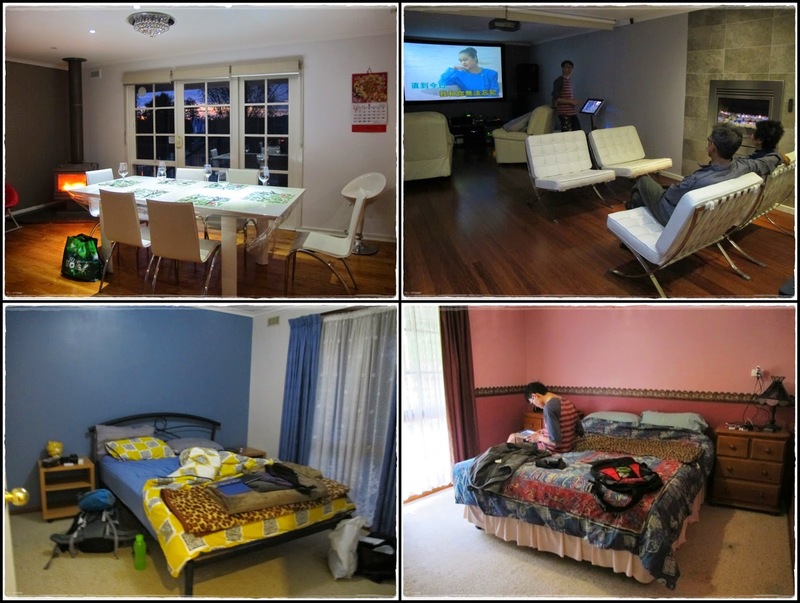 Tadaa...this was where we spent most of our time in Melbourne...Uncle Low and Aunty Yan's house in Dandenong. Very nice house with swimming pool, bbq pit, big yard, 2 bedrooms for us, and an entertainment room. =D How not to chillax at such a place la?? Uncle and aunt treated us dim sum for lunch the day we arrived and thanks to them, we had lotsa sumptuous meals throughout our stay. After chillaxing for a day, it was time to explore the city. Unfortunately, the weather wasn't on our side...as you can see from the dark clouds. First stop...a quick tour of Crown Casino without gambling. =P The legal age to enter casino in Australia is 18 and guess what, the security asked for my ID...hahaha!! 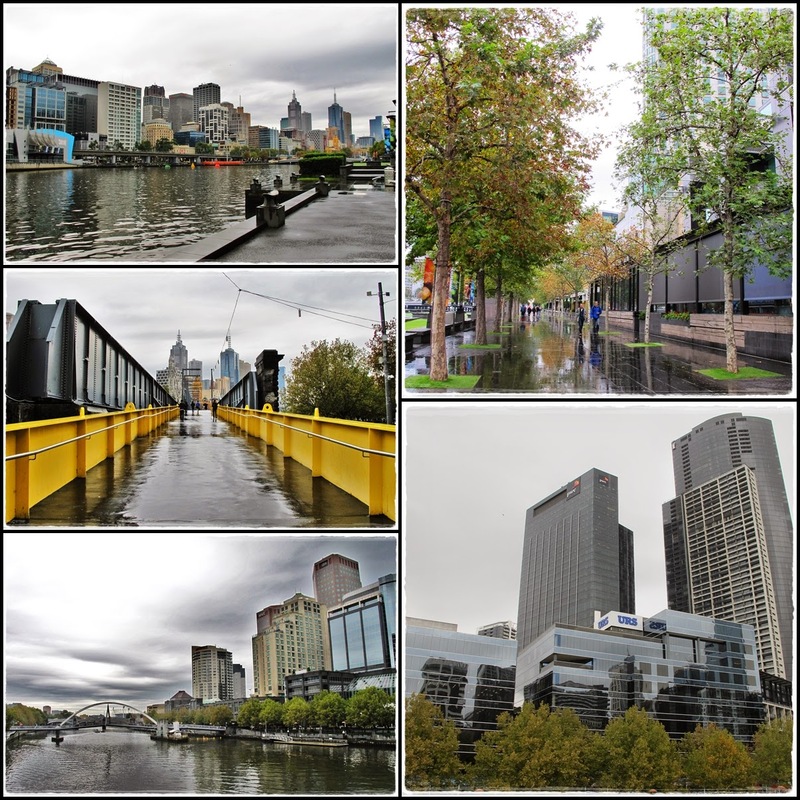 Walked along and across Yarra River to Flinders Street Station in the rain...don't like how the pictures turned out on gloomy rainy day...grrr! 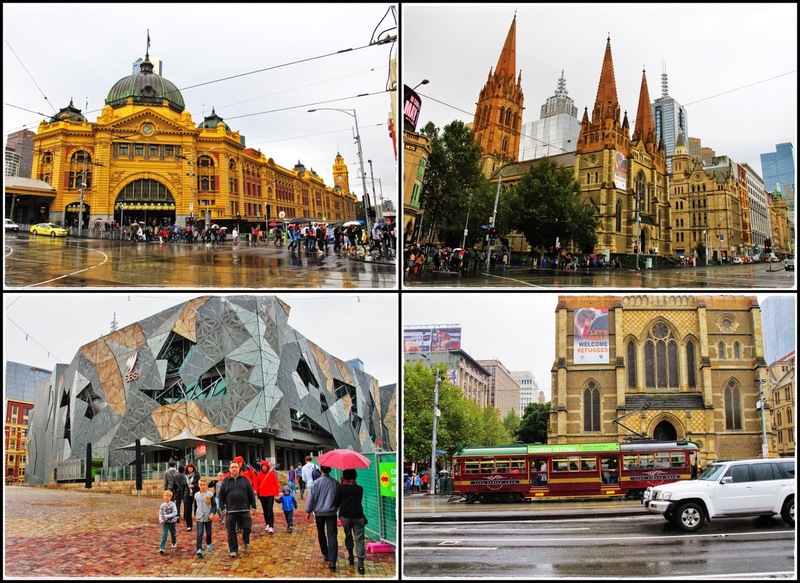 Clockwise from top left: Flinders Street Station, St Paul's Cathedral, Free City Circle Tram, Federation Square. After filling our stomach, we walked to Queen Victoria Market only to find out that almost all the stalls were closed already. =.= Apparently, the market is open only till 3pm but we managed to buy some souvenirs from one of the few stalls left. If you're a fan of Running Man, you would find this alley very familiar. Yup, Lee Kwang Soo and Kim Woo Bin filmed their version of La Song MV on an alley filled with graffiti in episode 188. So while I was doing my research for the itinerary, I actually googled to find where exactly this place was coz I thought it looked pretty cool...lol!! This alley is near Centre Place between Collins Street and Flinders Lane. Went back to Flinders Street Station to take the free City Circle Tram to Chinatown before heading back to uncle's place...but...we ended up in Royal Melbourne Hospital instead and didn't get back till after midnight. So what happened was...we were walking in Chinatown, it was getting dark and the road was slippery coz it's been raining all day, mom stepped on the metal drainage cover that was extremely slippery (I almost slipped on the same thing that afternoon), slipped backwards and hit right on the ground with her left face without any support. Even though bro was walking beside her and I was just few steps behind her, everything happened so fast that we didn't manage to react in time to prevent her from slipping. We both panicked trying to find ice, stop the bleeding, figure out how serious the fall was, and asked where the nearest clinic was. We could feel that the bone on her face was definitely dislocated and she was in pain so the people at the shops nearby suggested us to send her to the hospital in a cab. We then spent the next 6 hours in the ER at the hospital waiting for the a doctor to see her, do a CT scan, conclude that 3 of her facial bones were fractured and broken, and that she had to spend the night at the hospital coz the maxillofacial doctor will only be in the next morning to examine her. Uncle and aunt also came to the hospital after receiving our phone call and waited together with us till midnight while dad waited anxiously at the house. We went back to the hospital the next morning and the doctor said that mom couldn't get on a plane for at least 2 weeks coz the fractured bone was pressing on the nerves around her eyes and the high pressure in the plane could burst the nerves and cause blindness. 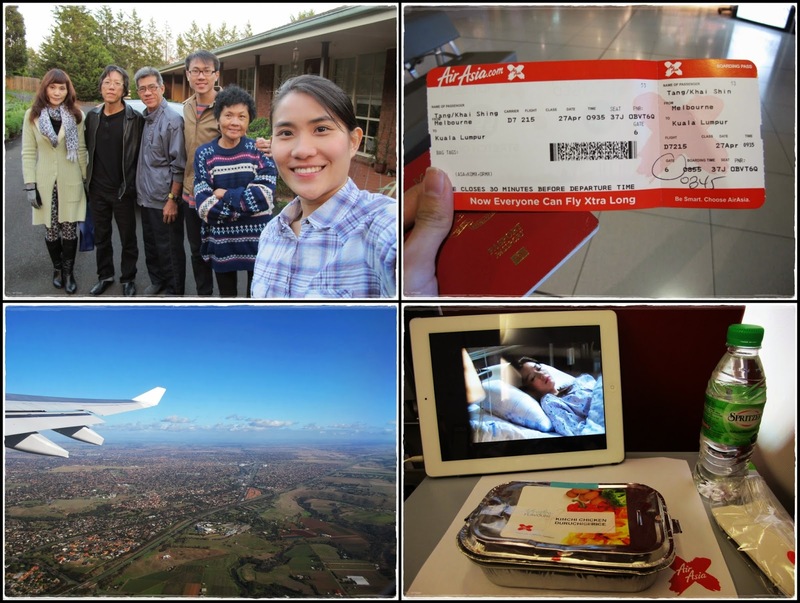 The conclusion was for mom to get the operation done in Australia to shift the fractured bones back in place and extend her stay for one month and dad stayed back to accompany her. So yea, this was the 'unforeseen circumstances' that I was talking about. It was unfortunate that this happened during our vacation but looking on the bright side, it was fortunate that mom didn't hit her head when she fell, fracturing her facial bones instead of arms or legs allowed her to still move around without any trouble, we all bought travel insurance so all the medical costs were covered, and they both got to enjoy the cold weather, spend more time with uncle and aunt, and chillax for one whole month in Australia. After resting for one day, we decided to get back to vacation mode and let mom get out to get some fresh air instead of just sleeping in the house. 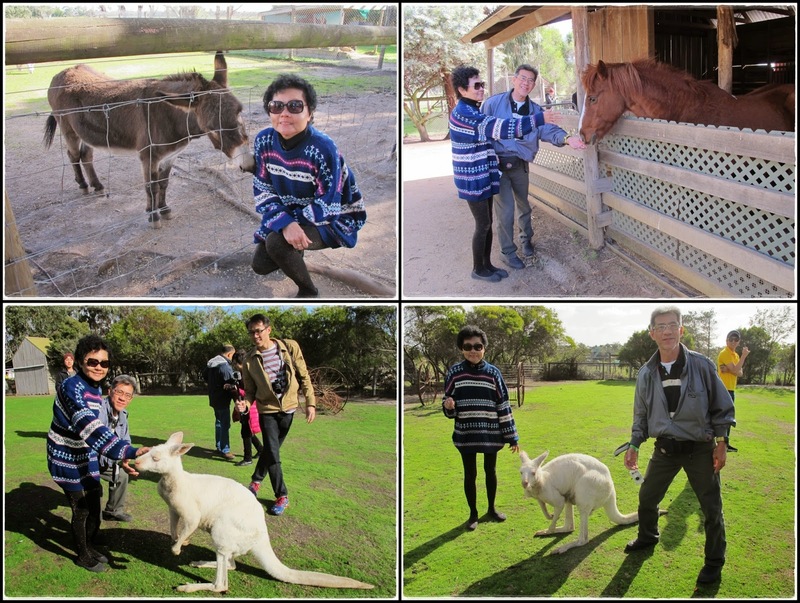 So we borrowed uncle's car and drove to Phillip Island, which was approximately 1.5 hour away. 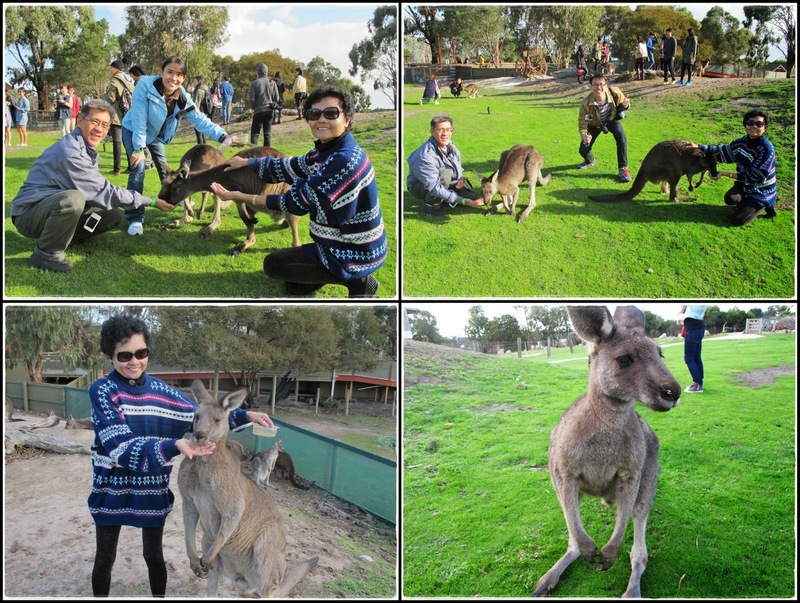 We can't say we've visited Australia without seeing kangaroos and koalas right?? 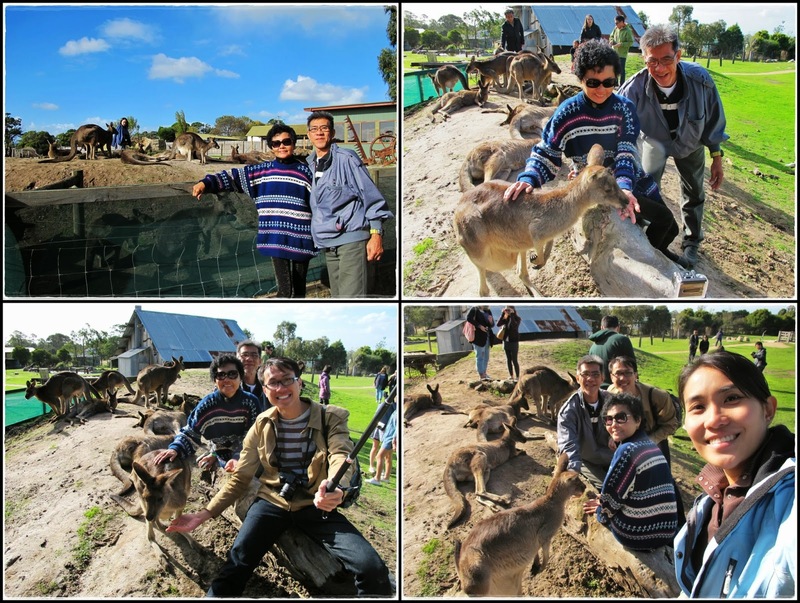 Instead of going to the Koala Conservation Center in Phillip Island, we chose to visit Maru Koala and Animal Park instead coz we wanted to see both kangaroos and koalas. There were only 4 koalas but they were all being lazy and sleeping so this was the only one chillin' at a good spot for us to take photos. Koalas are just like pandas...cute, spoilt, lazy, and sleeps a lot!! 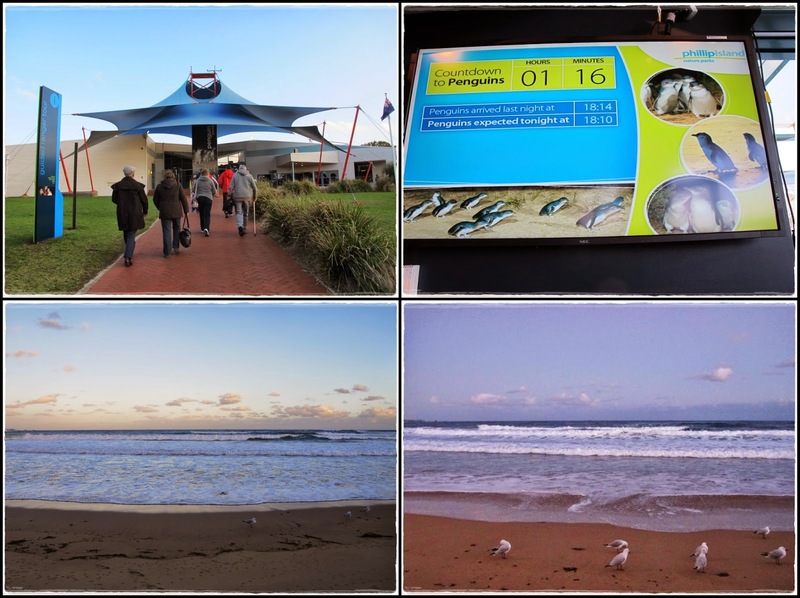 We tapao some fish and chips along the way and our timing was just nice to make it for the Penguin Parade after sunset. 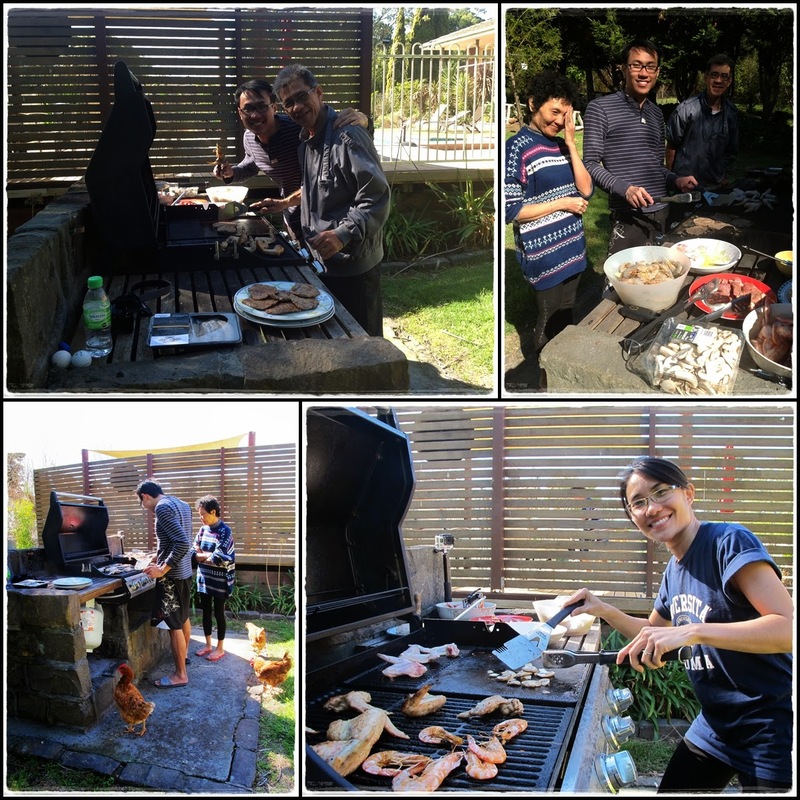 Weather was perfect so we were outdoor all day enjoying the sun and cookout. Bro was learning to make his own Ramlee burger...lol!! The pool was too cold to swim in so that explains why I was wearing a winter jacket, jeans, and socks sunbathing in the pool...hahaha!! I successfully climbed onto the float without getting soaked. 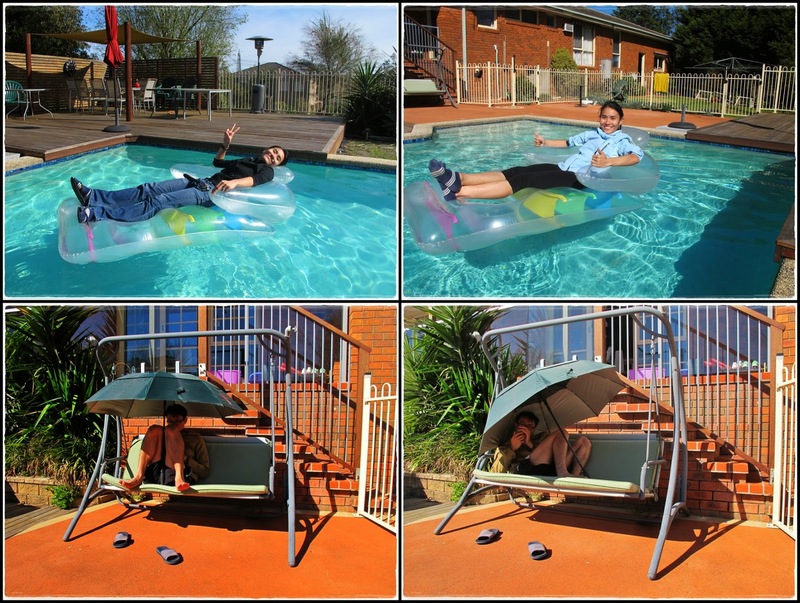 =) It was so sunny that bro had to use an umbrella while he was busy whatsapping on the swing. What kind of sunbathing is this?? Putera lilin?? 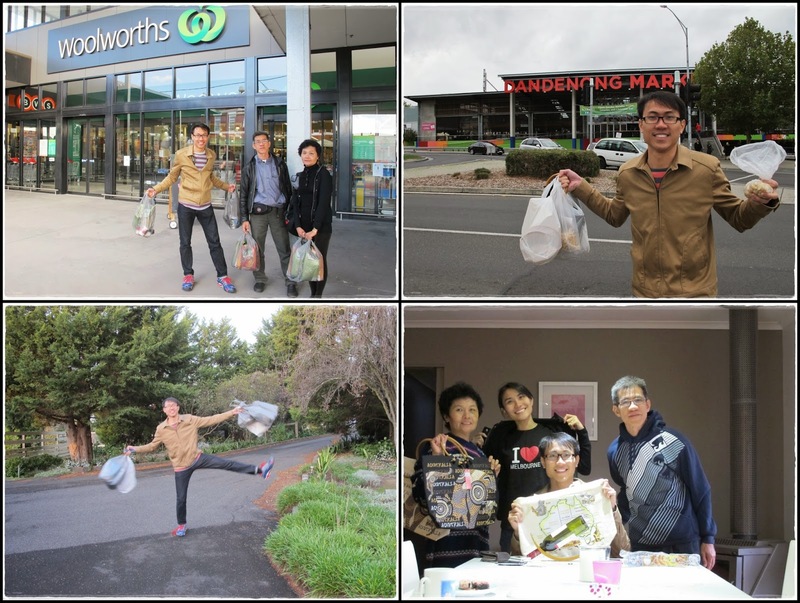 Uncle and aunt brought us to Dandenong market for souvenir shopping the day before bro and I fly back to M'sia. Sheng a.k.a. 'yi ma gu jeh' loves souvenir shopping...haha!! Time for bro and I to go back to work after a well-rested vacation while mom and dad stayed back for few more weeks. I continued k-drama-ing on the flight back (while enjoying my kimchi chicken meal). P.S. 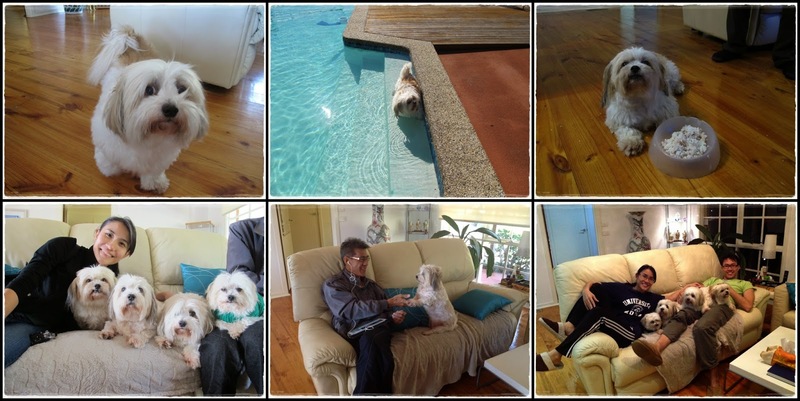 Mom and dad came back on May 20 and she has fully recovered from the operation. 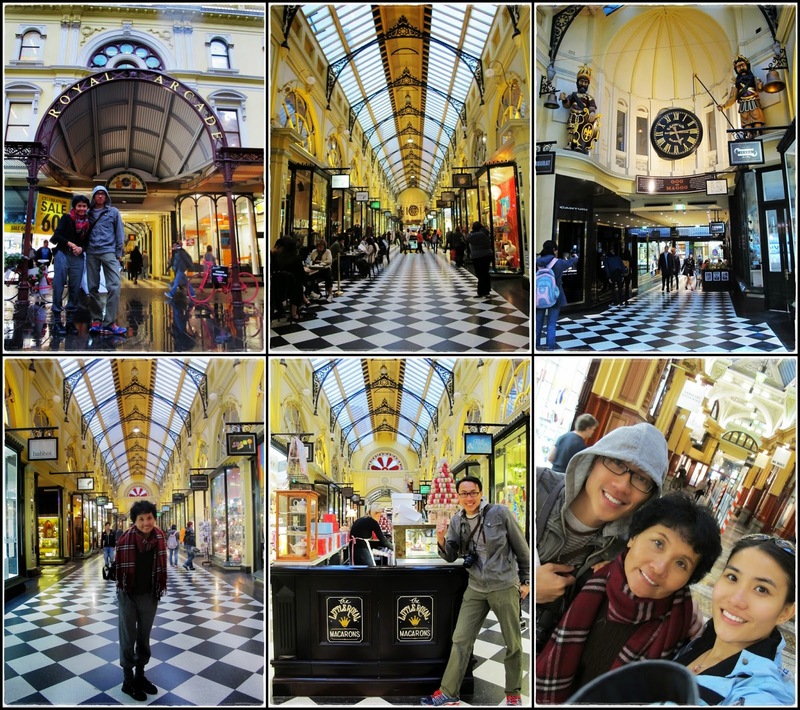 Once again, massive thank you to uncle and aunt for helping us with everything and making our stay in Melbourne an awesome one!! 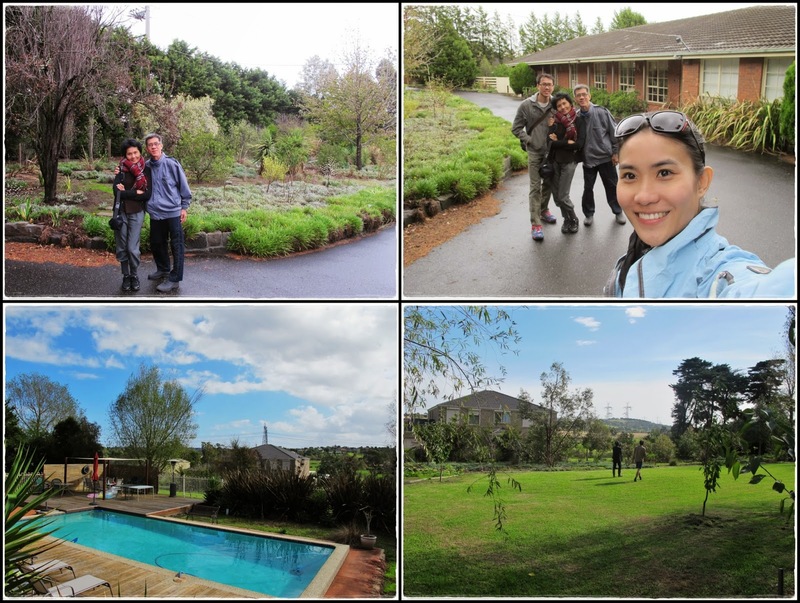 Pheww...finally done blogging for Australia trip, now time to move on and start editing 42GB of videos and photos from our Sweden and Norway trip...ohmaigawd! !